In September 2009, crowds gathered in Midtown to see the old Mountain Bell building, one of many designed by the late Phoenix architect Al Beadle, demolished after years of neglect. The lot cleared by the implosion is now home to an ordinary structure surrounded by copious surface parking, but many other Beadle buildings remain and are being preserved. 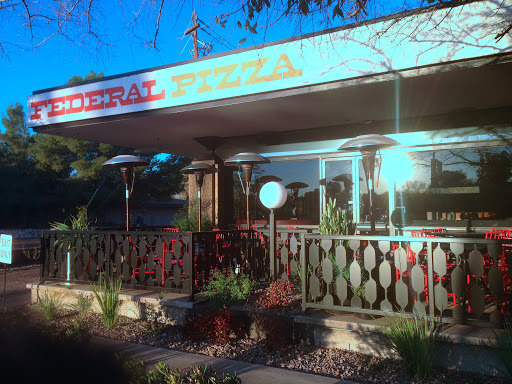 Two miles north, a former First Federal Bank branch has become home to Federal Pizza, the latest venture by Upward Projects, the same folks behind the nearby Windsor and Postino. Upward has just about cornered the market in Uptown and now dominates the stretch of Central Avenue near Colter, just a quarter mile north of the Central / Camelback light rail station. In fact, Upward’s offices are in the First Federal building. 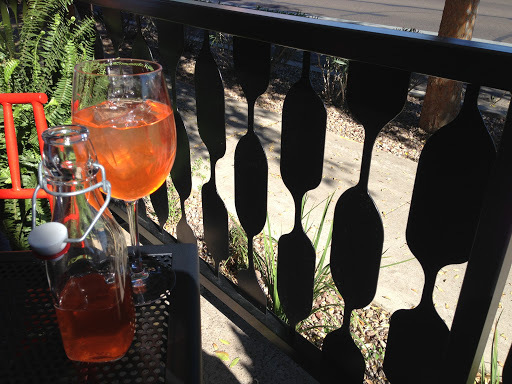 The biggest draw, however, is the restaurant, with its shaded patio facing Central Avenue and the buffered bike lanes recently added there. The restaurant’s entrance is in the rear of the building. 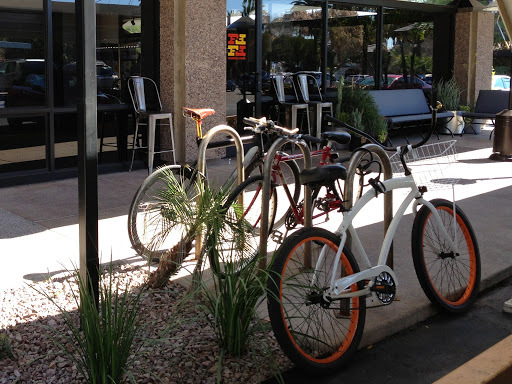 In an inspiring development, the bike racks there often see more activity than the drive-thru for pizza pickup. Even if there aren’t a lot of cars in the drive-thru, there’s often a wait for a table to eat on site. That’s unsurprising given the popularity of Upward’s other establishments, and the formula applied here is similar to the one seen across the street at Windsor: a lively interior dining area, a relaxing patio, generous drink specials, special prices for kids, and cuisine that straddles the boundary between the familiar and the slightly adventurous. 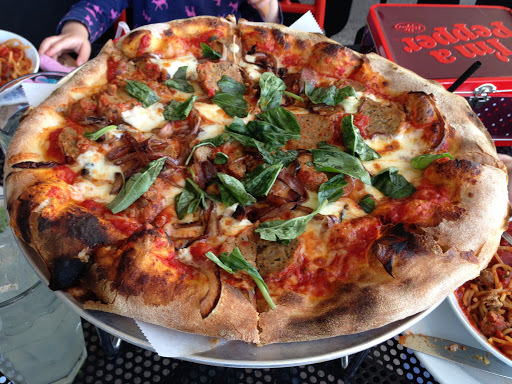 As the name implies, the emphasis is on pizza, but the pies sized for two are only one of many options. To start, the vegetable board is a lively platter of produce. A half bulb of fennel, a big segment of cauliflower, some stalks of rapini, a few whole carrots, and bunch of fingerling potatoes share the space with a dipping sauce that is tasty but not really needed since the natural sweetness of each item is realized via roasting. A daily “BOH” (back of the house) soup is available in a cup or bowl. 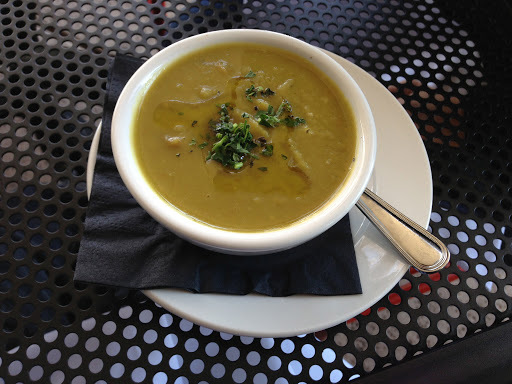 Recent choices have been a hearty split pea accentuated with bits of pork belly and a lighter, vegetarian white bean with a tomato base and fresh herbs. Salads are sized for two to share. The most straightforward is the Caesar, but with a twist: Instead of relying on standard romaine, Federal uses little gem lettuce, which involves smaller leaves that combine the crunchy aspect of romaine with flavor and texture closer to that of butter lettuce. 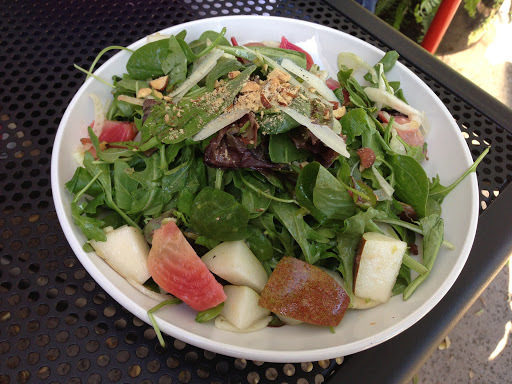 The TLC salad blends arugula, beets, pears, smoked almonds, and a bit of cheese. Other salads such as the Federal Chop and the Chicken Panzanella add meat to the greenery, and sandwiches come with a “great little salad” of mesclun lettuces and slivers of colorful beets. Those sandwiches are an alternative to pizza if dining alone or wanting something suitable for lunch. The porchetta, full of roast pork and indulgent pork belly, is one of two meat-based selections. The other is one is a meatballs sub with toasted MJ bread filled with three generous spheres of ground meat in marinara sauce. 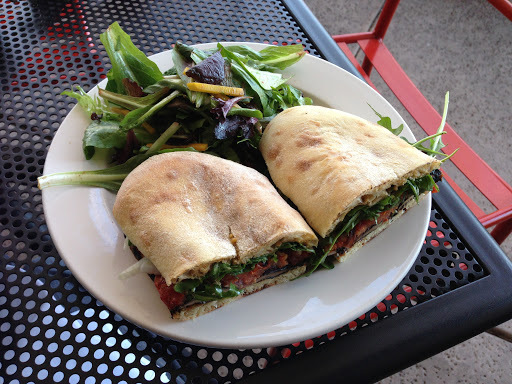 The other two sandwiches are meatless: a caprese with a simple, classic trio of tomato, mozzarella, and basil, and the “Funghi,” based on a roasted portabello cap augmented with goat cheese, eggplant, and greens. MJ bread, as in renowned Phoenix baker MJ Coe, provides the backbone not only of the sandwiches, but also of the main event: the pizzas. The core of the menu at Federal is designed by Coe. It’s made up of a dozen signature pies, all with a slightly pillowy crust topped with thoughtfully chosen combinations of ingredients. The same meatballs that work so well served whole in a sandwich make an effective pizza topping when sliced and paired with onions, mozzarella, basil, and tomato sauce in a simple but hearty pie. Other pizzas go a little farther afield with less common toppings. The Brussels sprouts pie combines tiny brassica with pancetta and manchego cheese. It’s an adventurous combination that seems to suffer from too little of the named vegetable, but with time the balance may be worked out. A more successful combination is the “Gemini,” where potato takes center stage flanked by fennel and rosemary. Beets and corn team up for another vegetarian pizza, and the Big Star returns to meaty territory with Schreiner’s sausage as the main topping. With no carbs left behind, there’s pasta, too. 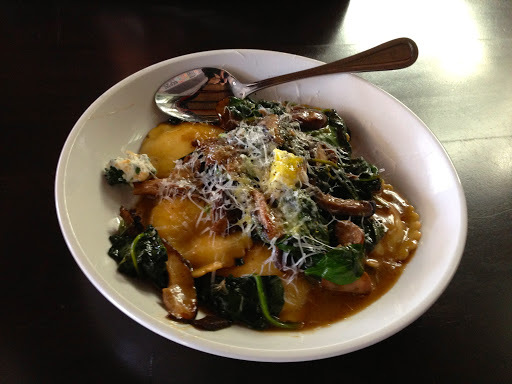 The ravioli are plump ricotta-filled pillows with abundant spinach. Orechiette, little ear-shaped noodles, come with crumbled sausage and leaves of Swiss chard. Expect many of the pizza toppings repurposed artfully in the pasta bowls. To drink, try one of the wine coolers, a beverage we haven’t heard much about since the bygone era when First Federal was actually a functioning bank. Combinations such as ginger grapefruit and strawberry rhubarb are a bit bolder than the bottled coolers we all remember. There’s also draft beer — not only in pints and shorties, but also in 64-ounce growlers and 32-ounce chubbs, to-go beer vessels now more widely available in Arizona. 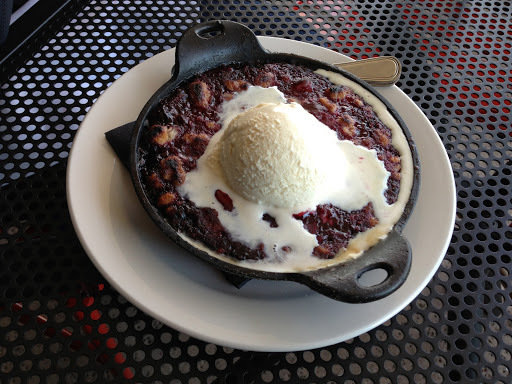 For dessert, the donuts with chocolate sauce can feed an entire table, and the cobbler features a volcanic assortment of berries bubbling under vanilla ice cream from Churn across the street. Yes, there’s plenty of creative, well-made pizza around town, just as there are plenty of Al Beadle buildings. Combine the two, however, and you’ve got something worth preserving.